The purpose of this Bid Request form is for new and/or existing customers to be able to enter the details of the soil or planting media they would like a price quote for. A sales representative will put the product information and pricing together then contact you in a timely manner with all of the details and address any additional questions or concerns you may have. You may choose as many amendments as you wish to have in your blend (many other amendements available upon request). 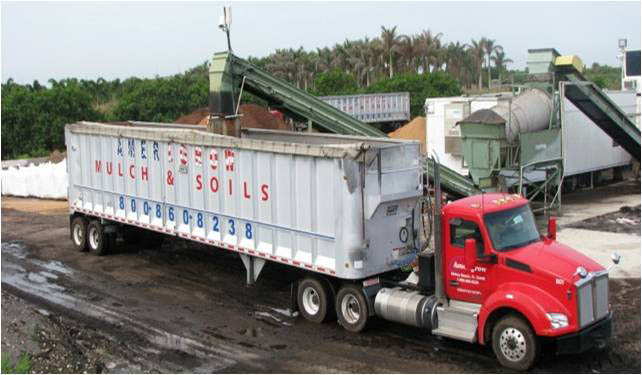 We offer bagging and palletizing services, bulk and pallet deliveries and installation of many soil varieties. The minimum order for a bulk delivery is 20 cubic yards. A full truckload is 35 cubic yards. A minimum order for a pallet delivery is 10 pallets. A full truckload is 22 pallets. Please use the Coverage Calculator located on the bottom of every page to see if you qualify for delivery. Many of Amerigrow’s products can be picked up at our Delray Beach store. Please call to verify availability. For custom-product orders, please contact one of our friendly and informative customer service representatives to arrange your order. Choose your additives (by percentage) by sliding the bar for each ingredient. Choose your amendments (listed below) by sliding to the desired pounds per cubic yard.